During our travels we’ve come across some pretty fantastic places, many of which claim to carry the status of “8th Wonder of the World”. A while back, we did a post on the NEW Seven Wonders of the World because, to be honest, we had no clue what made the elite list. We thought it would be interesting to hear from the experienced travel blog community to get their thoughts on what deserves the title of 8th Wonder. We purposely left it wide open, which created some interesting debate. Most contributors wanted guidance on what we were looking for. 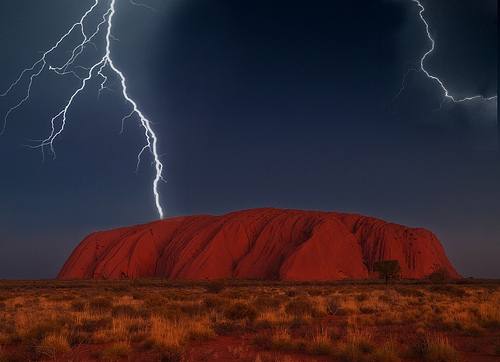 Natural wonder? Man-made Wonder? Ancient wonder? Technological wonder? We were deliberately vague, hoping to get a variety of unique recommendations. It was quite refreshing to see that the responses were extremely diverse, with only a handful of world wonders getting multiple votes. Why? Angkor is an incredible temple complex that was lost for hundreds of years, and the fact that it was built by a culture that we know very little about. Why? If a wonder of the world means that your mouth gapes open in sheer awe and delight by what you are witnessing, then the sunrise over Mt Bromo in Java would be the 8th Wonder. As the sun slowly rises above the horizon and the full moon sinks below it on the opposite side, a most wondrous site is unveiled. Sitting on a shrouded bed of wispy clouds, Mt Semera puffs smoke from her cone. Lying in front of her is Mt Bromo also letting out steam and 3 other craters. It was the most magical sunrise I have ever had the pleasure of waking up at 3am for. Why? Between the mystery of their existence and their breathtaking beauty, they definitely deserve to be the 8th Wonder of the World. Why? It’s still pretty much a mystery as to how and why the statues were built. Nevertheless, it remains an incredible feat for a primitive society living in one of the most remote places on Earth. Why? If I had to add an eighth wonder of the world, it would definitely be the Moai on Easter Island. Though I haven’t seen them myself, I’ve read that some of the carved human figures weigh several tons. I can’t imagine how they were made, let alone moved across several miles and placed upright. That alone makes them worthy of the title of the eighth Wonder of the World. Why? 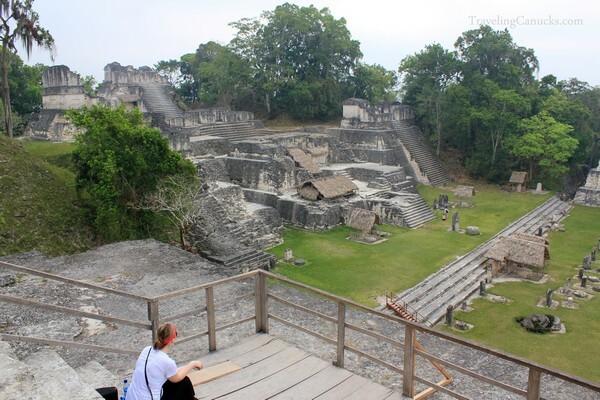 Though a very famous site to begin with, what I love about Tikal is that during the early morning or late afternoon hours, after all the big tour groups leave, the place is a ghost town. It’s just you, monkeys, nature, and ruins. It makes me feel like Indiana Jones and since the ruins are pretty overgrown, it’s like you are discovering them for the first time. Why? Tikal is the greatest ruin on earth. This fascinating Mayan complex is hidden in the middle of the Guatemalan rain forest. Stone pyramids tower over the jungle canopy while others are engulfed by Mother Nature. As you explore the complex while listening to the roar of the howler monkey you realize that the giant mounds of earth surrounding you are actually ancient pyramids. Many of Tikal’s ruins are left unexcavated only adding to its mystique and wonder. Why? The sight of a seemingly infinite number of exotic Buddhist temples, stupas and other structures rising out of the mysterious, dusty plains is one of the most extraordinary sights anywhere. With a rich 1,500 year history and over 2,200 structures still standing, the ancient city of Bagan impresses from every angle, whether it be a sunset view from the upper terrace of Shwesandaw Pagoda, standing at the grand entrance to the Sulamani Temple or sitting speechless in front of a 9.5 meter tall standing Buddha statue inside of the Ananda Temple. 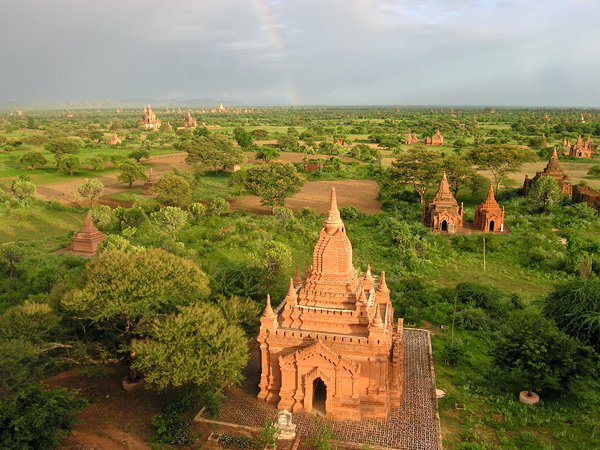 With significantly less visitors than other sites in Southeast Asia, Bagan maintains a timeless and powerful atmosphere that only a few places on the planet offer. Why? This is equally as beautiful and impressive as Angkor Wat or any of the other ancient cities, but is less well known because of the restrictions placed on visiting the country. Visiting the hundreds of temples on dirt track by horse cart is one of my favorite travel memories. Why? 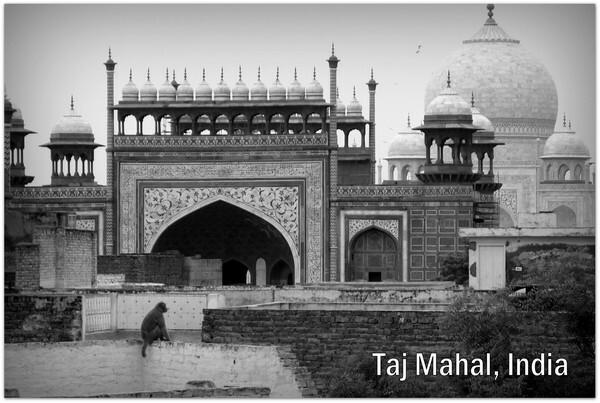 From church to mosque to museum, it’s literally layered history – in a city that’s a living example of that itself! 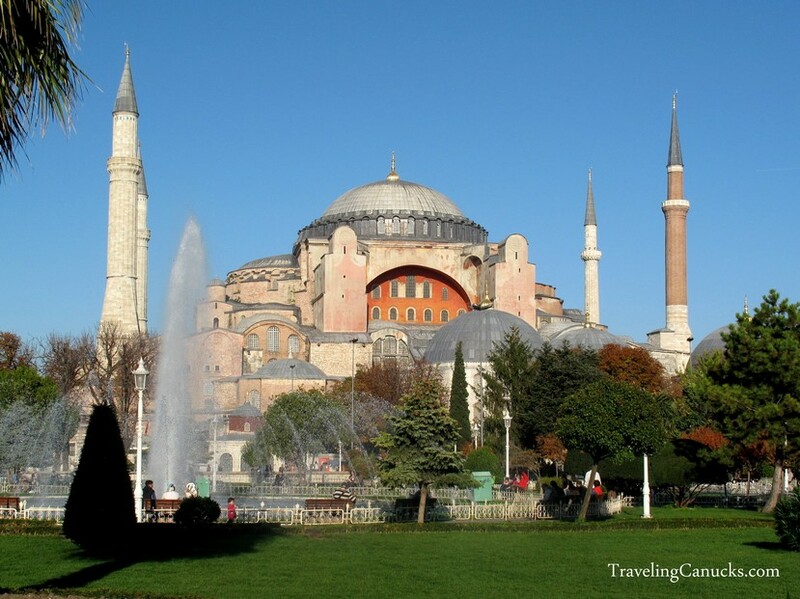 Plus, you can book cheap flights to Turkey from virtually any major European city, making this incredible 8th Wonder very attainable. Why? Without it, we could not live the life we do, see the world like we do or even respond to this question. It is borderless and very egalitarian. You don’t have to fly to Rio or Egypt to experience the other wonders of the world. Is it the same, no. But it offers the entire world an opportunity to see things that previously were reserved for a select few (and locals, of course). Finally, it is the single greatest thing that has happened to travel since the airplane. Can you imagine planning a trip without the internet? Why? Zion National Park’s dramatic landscape of sculptured canyons and soaring cliffs was known to Pioneers as a place of refuge. 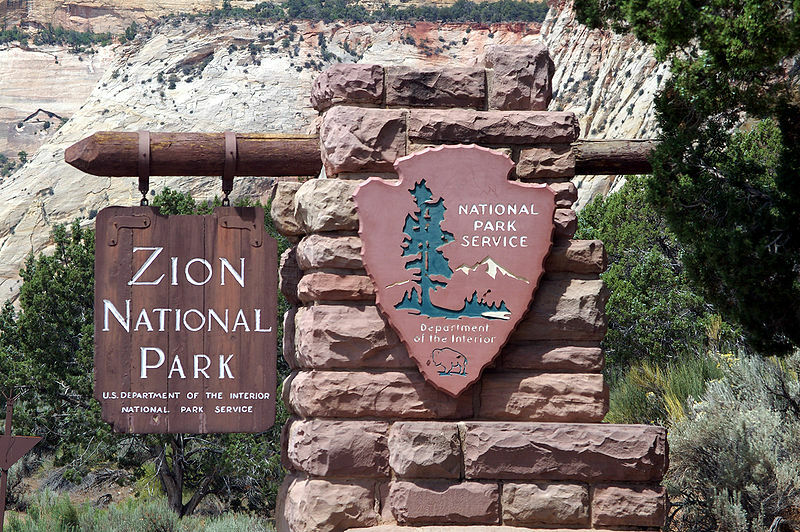 The unique geography of this park stretches 229 square miles and is home to the world’s largest arch (Kolob Arch) which spans 310 feet. Another natural wonder that lies in Zion is a deep gorge with almost vertical walls that was cut through rocks by the North Fork Virgin river. This canyon is so deep and narrow that sunlight cannot reach the bottom. Why? The site has been used for 6000 years by aboriginals who would round up the buffalo, get them going really fast, and then have them jump over a cliff, which by the time the buffalo saw was too to stop. It sounds simple but required extensive planning and knowledge about buffalo in order for the buffalo jump to be successful. I’ve yet to meet a European who has heard of it and they’re always appalled when I tell them about it, so that’s one good reason it should be included, but also because it is a UNESCO World Heritage Site and is one of the best preserved buffalo jumps in the world. Why? 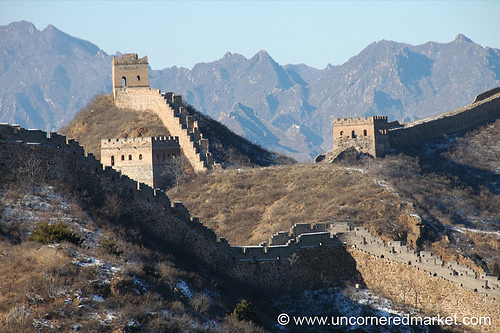 I never thought much about the Great Wall of China until I saw it firsthand. It is truly amazing how the wall seems to almost glide across the hills and landscape. And the vast size of it blows your mind away. Photos and videos of it just don’t do it justice. Why? Seriously, this thing is immense. When I stood on it, I just couldn’t quite get my head around how a labour force with no access to things like trucks and diggers was able to stick up a wall that covers an 8,000km long distance. I think even with trucks and diggers we’d struggle to build something like that today (well, I guess a billion Chinese people could do a metre each or something, that might do it). Why? I know it sounds cheesy, but it was the most beautiful thing we have ever seen. As the morning sun warms up the dusting snow on the massive granites, it slowly disappears into wisps of vapour against bright blue sky. Why? 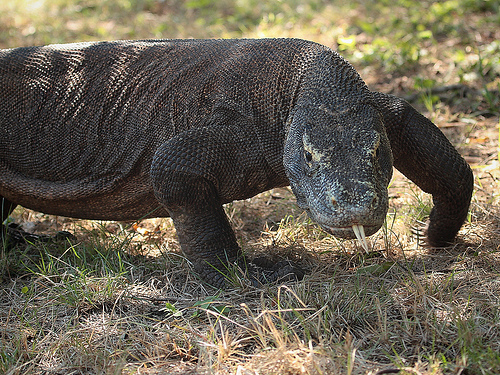 It is only here that you can find the amazing Komodo Dragon, which resembles a prehistoric creature. They are fascinating animals that are very high on the endangered list. If you ever have the chance to visit Indonesia, you must visit the Komodo Islands. Why? The beautiful fairy chimneys are otherworldly. 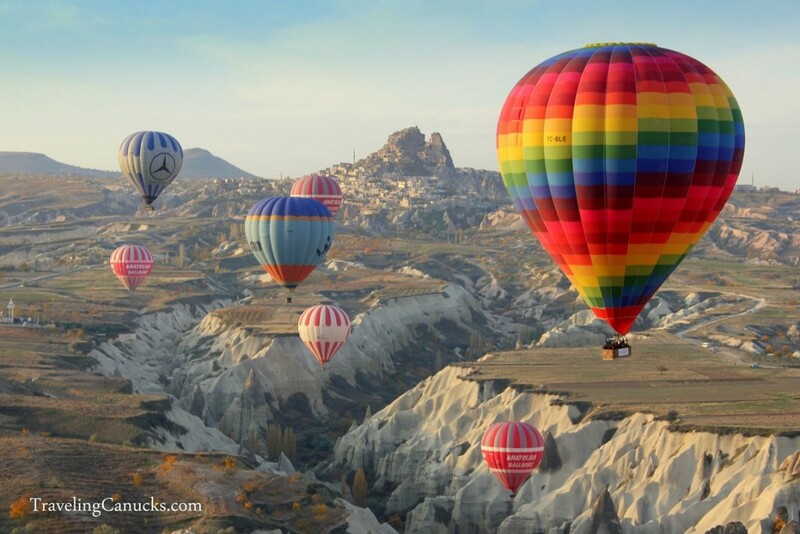 The little villages are very peaceful and you can find lots of tours, hiking paths, and hot-air balloon rides. You can sleep in a cave, climb around in underground whole cities that were built underground, and zip around on a scooter to find the best views. While I’m not sure I would quite put it put it up there with Petra or the Coliseum, it is still very beautiful. Nothing beats viewing the sunrise high up in a hot-air balloon! Why? The two Poles represent a level of remoteness found nowhere else on this planet. The allure is a result of their isolation and frigidness. 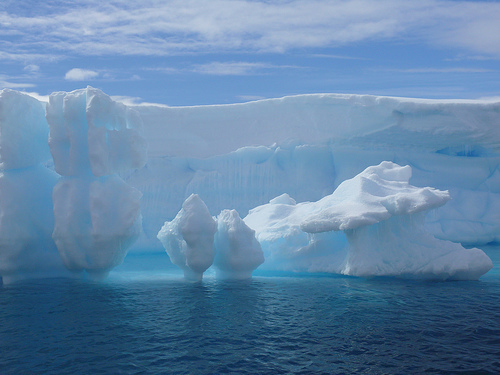 What surprises most people is that the average temperature in Antarctica is a frosty -37°. That’s pretty wonderous to me. Why? 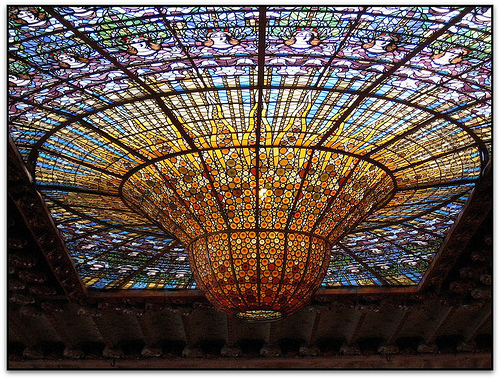 Not only is it one of the finest examples of Modernism (also known as ‘Art Nouveau’ or ‘Liberty’), it was financed by a choral society, the Orfeó Català, and the wealthy citizens of Barcelona, as an expression of the Catalan cultural movement. Its awesome decorations are the work of local artisans and craftsmen who deployed their creativity while using local building materials and techniques, making the ‘Palau’ not only a breathtaking work of art but also the symbol of the ‘Catalan Renaissance’. Why? It’s such an amazing place, even if it’s completely touristy nowadays. Why? It took my breath away when I went, and the area remains unspoiled by human influence. It seems to go on forever into the distance and watching bits fall off and crash into the sea sends shivers down your spine. It was also possible to sit and take it all in without being disturbed by anyone – it isn’t overrun like many potential wonders and still feels as though it is in its natural environment rather than being turned into a theme park. Plus it’s one of very few (if any?) 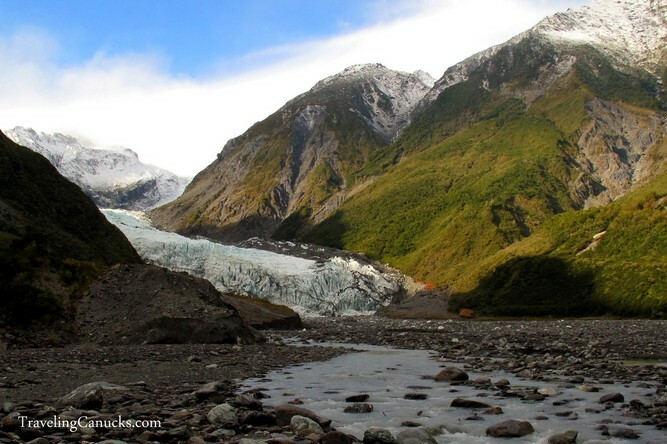 glaciers in the world that is still growing! Why? Skara Brae is a nearly perfectly preserved Neolithic village. It’s about 5,000 years old (older than the Great Pyramids and Stonehenge) and it provides incredible insights to what life was like on this windy and northerly island. There used to be trees on Orkney! It’s truly the type of place to leave you speechless. Why? The greatest invention of the 20th century is the World Wide Web, and I couldn’t agree more. Korea is well known for its fast internet speed and early development, and I am still a total computer and science geek. It affected me to have a strong and unique sense of social media. 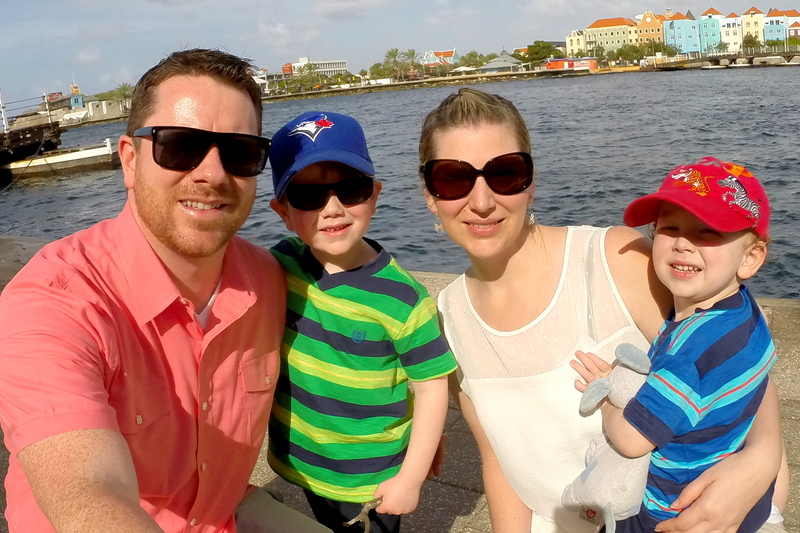 I recently wrote a post about saying good bye during travel and social media. We now have new meaning of ‘friend’, ‘good bye’ and it’s all because of social media. It’s no wonder the movie social network got so many awards; it’s projected our lives! Why? The 116 rice terraces of Batad that are carved into the mountain side is a mind blowing display of human creativity and resourcefulness. I spent about a week hiking around the Cordillera Ifugao rice terrace region of the Philippines and had one of the most incredible times of my life. Why? The salt flats and the areas around it are like being on a different planet where the scenery comes from the imagination of a science fiction writer. On top of that, there are wild llamas and flamingos running around. Why? Though the Wonders are traditionally structures or nature, the internet has overcome the obstacle of physical tangibility and yet is the single largest identifiable catalyst for change in hundreds of years. Vicarious travel, daily doses of sheer wonderment, news, community and information are endlessly available through the Internet. Why? My pick as the 8th Wonder of the World is the Alhambra Palace in Granada, Spain. I live in Granada, and I never tire of the gorgeous sight of the Moorish Palace stacked high above the city center. The palace adorns sandy-colored walls and Muslim carvings, back-dropped by a stunning view of the snow-peaked Sierra Nevada. Why? The food in Oaxaca is as complex and as much as masterpiece as any historical structure around the world. Its legacy has lasted for centuries and continues to be a inspiration. Why? 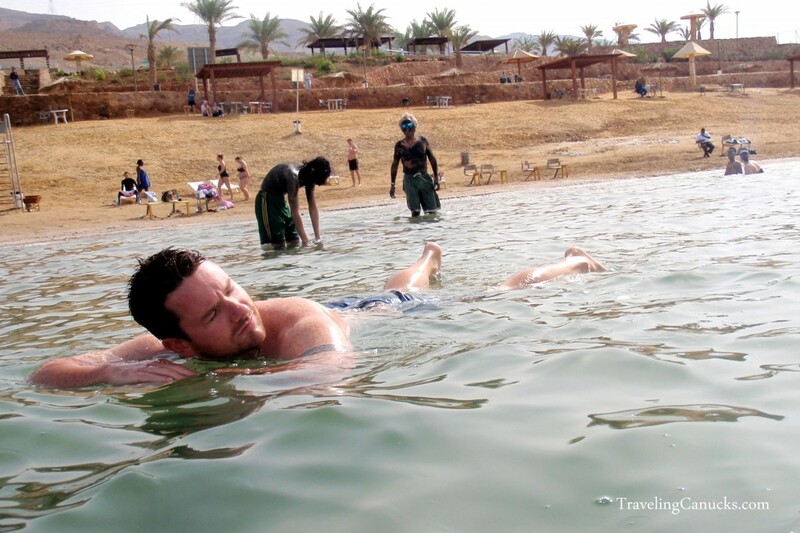 The Dead Sea is a remarkable phenomenon, it is the lowest point on the surface of the planet and the high salt content makes anyone ultra-buoyant. It has also had an important role in history serving as the background to countless benchmarks in the formation of Western Civilization. Why? Sailing the Whitsundays is a must for any world traveller. The Whitsundays is home to one of the best beaches in the world; Whitehaven. There is also incredible access to the Great Barrier Reef, the worlds largest reef system. Why? Well, it is unorthodox, but my vote is for the South Island of New Zealand. It’s so geologically unique – in a small space you have beaches, you have glaciers, and all sorts of stuff in between. Top that off with great food, local hospitality and you get an experience akin to one of the ancient wonders of the world, but only a (long) flight away! Why? 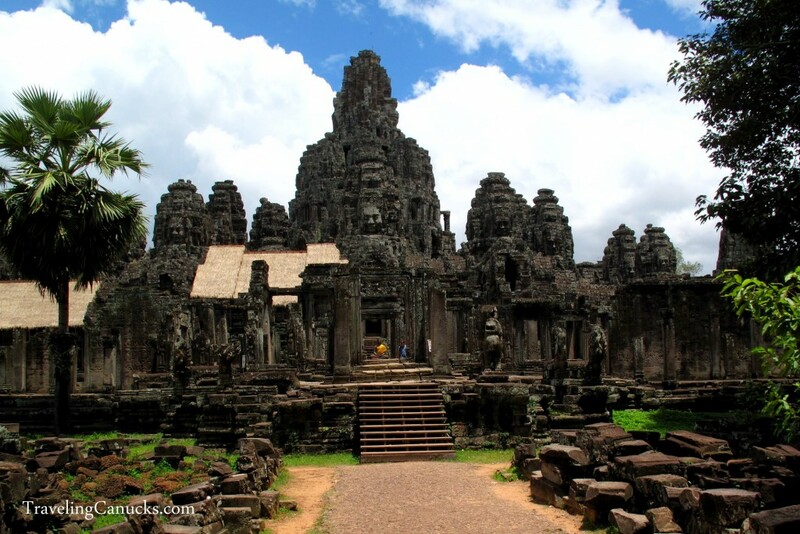 Angkor Wat is a massive complex full of dozens of temples built throughout Cambodia’s history. Like the real wonder of the world Petra, Angkor Wat seems to extend out forever, and is quite larger than any of the pictures and instances in movies let on. So when you go, give yourself 2, if not 3 days there to see the full extent of it all! Why? The vast scope of the whole area of temples is amazing and totally surprised me. It is worth 4-5 days of biking around and soaking the whole atmosphere in and should be on everyone’s must-do list. Congratulations – You’ve made it to the end! As you can see, quite a diverse selection of answers! It’s quite evident that even the most experienced travelers cannot agree on what deserves the title of 8th Wonder of the World. This is a very good outcome, proving that our world is simply too extraordinary to be defined into such a small group. That said, the clear winner in this poll is Angkor Wat in Cambodia, followed by the mysterious Moai of Easter Island in the South Pacific. I was surprised that there weren’t any votes for the Galapagos Islands, the Acropolis in Greece, the well preserved ruins of Ephesus in Turkey, Adam’s peak in Sri Lanka, the Sydney Opera House in Australia or even Mount Everest in Nepal. What did we pick as the 8th Wonder of the World? Great question! No surprise, we also had differing opinions. Cam voted for Easter Island and Nicole voted for the Dead Sea in Jordan/Israel. But we both agree that the Galapagos Islands is a close second. For those that didn’t make the list, we still want to hear from you! Leave us your pick below and give a brief explanation as to why. It really is, isn’t it? We would also love to visit them all! That is truly a diverse collection. After my own pick, I’d say the Internet is a close second 🙂 To think of the effect it would have on the world’s economy if the ‘Internet’ all of sudden stopped working (I’m using the word ‘internet’ loosely here, since it’s basically just a network) is… well, hard to imagine. Great post! I would totally have picked Galapagos, or even Tierra Del Fuego. I’ve always wanted to go to the “Ring of Fire” in the Pacific South West. 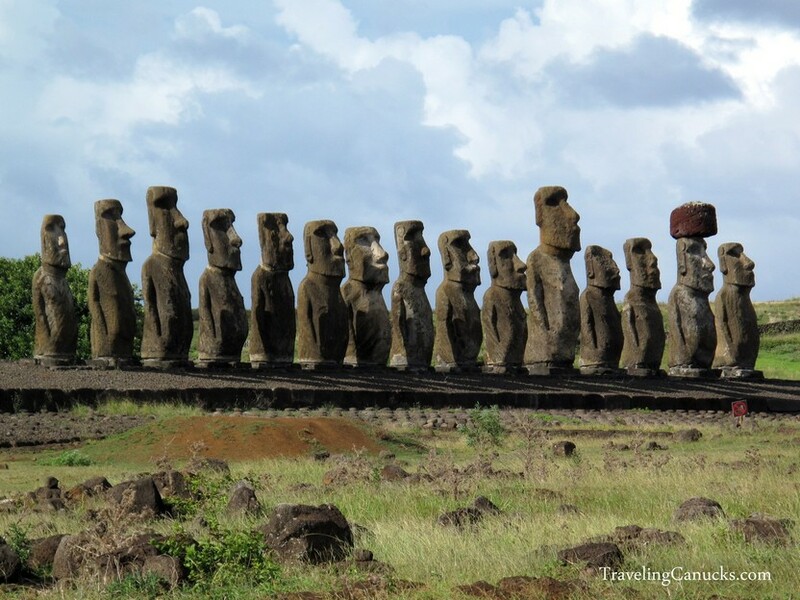 Dying to go to Easter Island. Also, Kruger National Park is a total MUST for all travelers. There were a few more Angkor Wat picks from bloggers that gave multiple answers, but I figured it would be better to spread it out. It’s clearly the front runner with this group! Awesome post. So many countries and places we have yet to see. There are truly some incredible things on this list. So cool that “Head Smashed In Buffalo Jump” made your list. That was about 45 minutes from where we lived. Amazing story behind it, albeit not the most humane, still incredible. If you were given the tough task of making a pick for 8th Wonder, what would it be? Ahh yes, sorry, i meant to write that. 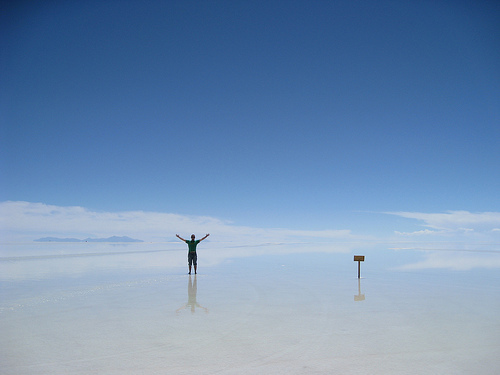 If I had to pick based on experience, Salar de Uyuni. But out of all them, Easter Island intrigues me the most. thanks for including me! I am honored to be able to answer in this great blogging company. WOW! so many beautiful places! Okay Angkor Wat is pretty damn sweet. If we have to go with a structure it should definitely win. LOL, are the moles a part of the cuisine?? Agreed, Angkor is quite the complex. The fun thing about this question is that it can go on forever… my hope is we get a lot more contributions. I tend to agree with you on that one. I am glad to see other people choose Angkor Wat. Although, I am also glad that Petra made the ‘official’ new update too to be included in one of the 7. They both rock! Hmmm…that’s a tough one! I’m going to have to join the large number of votes for the Temples of Angkor, which extend far beyond Angkor Wat itself. That and Machu Picchu! It’s location alone makes it so breathtaking! Or is that already one of the 7 wonders of the world? Machu Picchu is considered a NEW Seven Wonder of the World, so it really depends on which grouping we’re talking about. Both great choices, thanks for sharing! So many incredible places! Hope to make it to all these places soon! Thanks for compiling this amazing list! We were fortunate enough to visit your selection, the ancient rice terraces of Banaue, and would totally agree – what a fantastic place! Hey guys, awesome post. Great work on putting it all together and getting feedback from so many people! One thing is obvious: the world is full of wonders. I’ll add my pick: the Jeita Grotto in the Lebanon. In incredible world of stalactites and stalacmites, more than cathedral high in colors ranging from pink to blue and with a lake on the lower level. Great! A new one to add to the list. I must confess, I’ve never heard of this place, but will definitely look into it. Even though I’ve never been, my choice would most definitely be the Galapagos Islands. The different animal life is out of this world amazing. If I’m choosing a place I have been, I’d probably choose Jokulsaron in Iceland. After driving for two days with beautiful green grass, wild horses and waterfalls, glaciers and icebergs emerge and totally shock you at how gorgeous this other world can be. cool post! i dont really know what the actual seven wonders are. since we are mayan ruins addicts, i would have to throw in for tikal as well! i think chichen itza is one, but for me tikal is probably cooler. but really calakmul and palenque are probably at the same level as well. so maybe just mayan ruins as a whole. some others could be the amazon, the sahara, patagonia, atlas mountains, wow, so many now i think of it. even my local bakery. great work guys! Some great choices for sure! We’re planning a trip to Central America in May and Tikal is leading the charge. We are very excited to experience it firsthand. Thanks for contributing! Truly great post guys,. It was awesome to read more of these wonders from expert travellers and to be included in the list. Love the inclusion of the internet. Great collection! Thanks for publishing my 8th wonder of the world. Absolutely loved other ideas such as the Salary de Uyuni, Great Wall of China and Cappadocia – some of the few places in the world that just left me in awe. Great posts guys and nice work on collecting such a diverse set of experiences and places. once again Wandering Earl and I have more in common than we realize 🙂 I thought that Angkor Wat was already one of the 7 wonders (or at least the new wonders). I would never have thought of the Internet, but it now has my vote as the 8th wonder. The internet!!!??? That is so clever! My mind has officially been blown haha… awesome post duder! Haha… yes, the Internet is a clever pick! Great post guys! Sorry I wasn’t able to get back to you on this, but I’ll weigh in now. It’s hard to argue with Angkor Wat. It’s so incredible and to think of how old it is, it makes it that much more amazing considering the shape that so many of the temples are in. Unless you’ve visited, most also have no idea how HUGE the entire complex is. It’s not just Angkor Wat that we see in all the pictures. We spent three entire days exploring all the various temples, and we still didn’t see them all, not even close in fact. One could easily spend a week exploring the area there’s that much to see. All that being said, I’m going to have to go with Southwest Bolivia as my 8th wonder. The Salt Flats are included in that, but it’s the whole area down there that just amazes me. When we went I was initially shocked that the Salt Flats themselves only constituted 1 day of the 4 day tour. And while they were the highlight, the other 3 days were almost as incredible. The variation of landscapes, colors, wildlife, all of it was simply amazing. And it really did feel like you were on another planet. Great round-up guys. Amazing picks by everyone. Our list of places we want to go keeps expanding by the day, it seems. Great post guys! Great collection of prospective wonders. There are so many choices here and some of them are even new to me, so would check them out. I agree that the internet is a New Wonder, even when it is not physical. Imagine us without it today?! eek! So cool that Angkor got various votes. I’m really looking forward to experience this amazing place. I also would second Tikal and the Moai at Easter Island. So much mystery behind them. What a fabulous list! It was fun reading through people’s answers and why they chose what they did. For me, I am a bit of a nature lover so the outdoors and that type of scenery is going to win out over man made things. 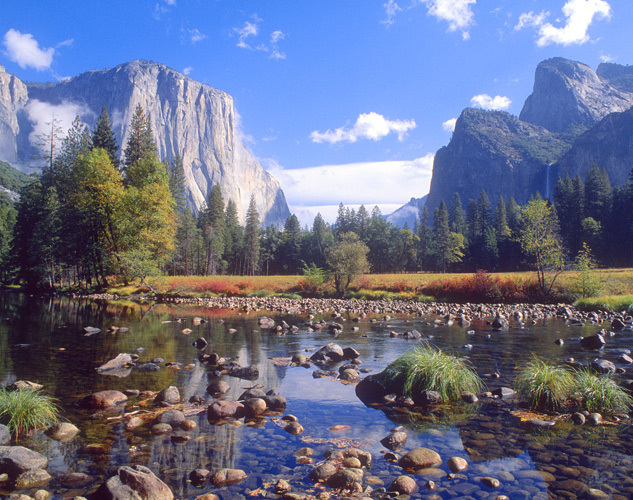 It’s not the popular choice and it shows my California bias and love of nature but I will go with Yosemite. Excellent choice Jeremy! We plan to do a USA road trip this summer, hopefully hitting up Yosemite on the way, but our goal is to hike in the Grand Canyon and Utah. Same as Adam; sorry we didn’t get back to you on time. Great list. I actually thought more people would have gone for Cappadoccia in central Turkey – seems a bit of a hotspot at the moment. Noticed Anil @ foXnoMad chose Aya Sofya. I think we’d have to go all the way and choose the city itself: Istanbul. Not just the architecture. It has a special vibe for us that draws us back there as often as time and money permit. So many great selections for the 8th wonder. I hope that i can visit them all one day! Great idea for a post, it was a fun read and cool to see all the great images. 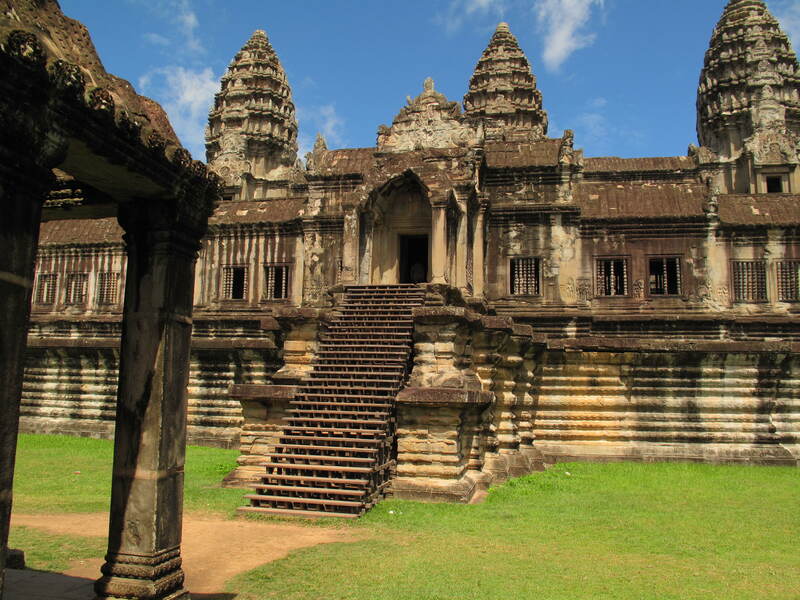 Angkor Wat has long been tops on my list of places to visit, looking forward to seeing it soon. I’m with you on the Galapgos Islands. Nowhere on earth compares to the up-close and personal experiences you can have with so many animals. Great picks! I would definitely second or third or five-hundreth Angkor Wat, but I would also add the Mogao Grottoes in Dunhuang, China. They don’t let you see most of them, but they paintings inside are incredible. Plus it’s got incredible significance along the Silk Road. Ah, a new one to the mix… I like it! I must confess that I have not heard of this place but will definitely check it out. Thanks for contributing! Having visited everything on the list except the Alhambra and the Batad Rice Terraces I’d have to pick Tikal as being the most exhilarating, evoking memories of everything from Indiana Jones to Star Wars but the 8th wonder for me is Salar de Uyuni, Bolivia. Amazing desolate scenery, interrupted only by the bizarre sight of an emu trotting by. Both great selections! We hope to visit Tikal in May… looking forward to it. Thanks to this post we now all have a list of 20+ wonders of the world to refer to whenever deciding where to go next. And not only is the list itself interesting but each entry tells a little bit about each blogger who submitted it, which is also quite interesting! You’re welcome Earl – thanks for contributing! I love Tikal, which would make my list. And Angkor Wat. I’ve not visited Cappadocia, Yosemite or Utah, but thanks for this fascinating list. Why only seven wonders, though? The world was smaller when they made that list! We hope to visit Tikal in May. It’s top on our list! You make an interesting point about the 7 Wonders, the world was much smaller back then. Thanks Krista. Indeed, this list makes my feet itch for some world exploration! You got a lot of input here! There are some places I hadn’t thought about as being the 8th wonder. I love the variety of answers. Great pics and totally agree with Angkor wat. 🙂 Thanks for including me to a wonderful post! Would love to visit all the places on the list. Specially Moai. love love love this post! angkor wat is definitely number 1 on my bucket list! Great list here of places and things that all seem to be wonders. To add to your list, I would say Ötzi, a 5,000 year old Iceman found in the mountains between Italy and Austria. He wasn’t discovered until the 1990s by two hikers who strayed off course. As he fell in a glacier mysteriously, he was incredibly preserved, right down to his backpack. I like to think of him as the first backpacker we have on record. Seeing his clothing and tools so well preserved including his body is certainly a wondrous site. Glencoe Scotland should be the 8th wonder of the world . I fell in love with the place the minute I set foot init. The mountains are not that high but the are stunning. It`s got great great history too.The name Glen Coe is said to mean “Glen of Weeping”, perhaps with reference to the infamous Massacre of Glencoe which took place there in 1692. I have travelled a bit but I must get my Glencoe fix every year . What a fantastic idea guys! We are late to the party and only just now had the chance to read everyone’s choices. Really fantastic answers. I love Shannon’s answer. Very outside the box thinking and bang on! Thanks for contributing guys. Yes, Internet is a great pick! Love this post!! I’ve never heard of some of these “wonders” – our world is really an amazing place. I was quite happy to see that the answers were so diverse… it’s a reminder of how many great places there are to explore and discover! Wow, great choices there. I have visited none of. YET! Living in the Philippines and knowing that some famous traveler suggests the rice terraces as one of the most fascinating wonders is truly a great honor! 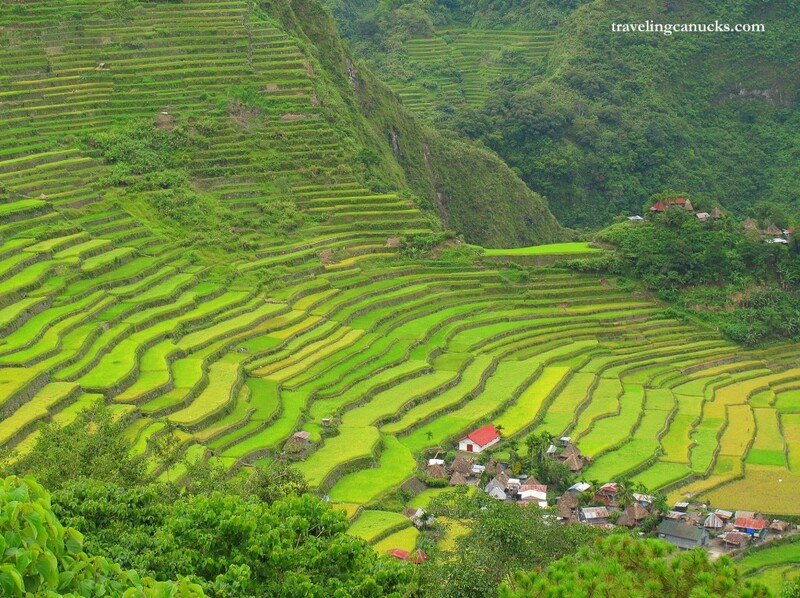 The Rice Terraces in Batad are an incredible wonder of the world! I would have to jump on the Easter Island bandwaggon… although I haven’t been to Cambodia yet. The Moai have certainly topped anything I have seen though. Just simply a great list. You can go wrong with any of those choices in my opinion. My two favorites are Angkor Wat in Cambodia and Mount Bromo. What an amazing post!! I feel like I have just traveled around the world to some of the most fascinating and exotic places our beautiful planet has to offer all of us travelers!! The natural or man-made 8th wonder of the world? How does one choose from among such jewels? I just want to visit all of them on this list, that’s for sure! Glad you like the post Jeff! Some really thought inspiring words here…..
We’ve never been but want to include it on a road trip to Utah, Arizona and Nevada – I’ve heard nothing but good things! Wow, that’s quite a spectacular list!!! 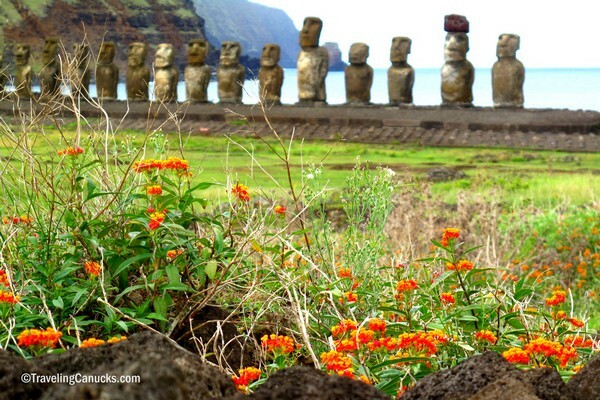 I almost find it hard to believe that Easter Island isn’t already a wonder! I’d say either Angkor Wat or the Easter Island Moai. Having traveled to Angkor Wat, I can say first hand how amazing it is. I’ve never seen the Moai, but they are pretty amazing as well. Amazing issues here. I’m very satisfied to look your post. Thank you so much and I’m taking a look forward to contact you. Will you kindly drop me a mail? Great Post I can’t wait to check out Cambodia. I gotta say the Amazon Rain forest is on my list. That and the Bering Sea. I was a Alaskan Fisherman, for 8 years. And there is nothing like seeing the Oceans Freeze solid.Crazy, thanks for the awesome post. All the pixctures where great, and it was very inspirational. Loved it! To me, the 8th wonder of the world will always be my hometown no matter how insignificant it may be. 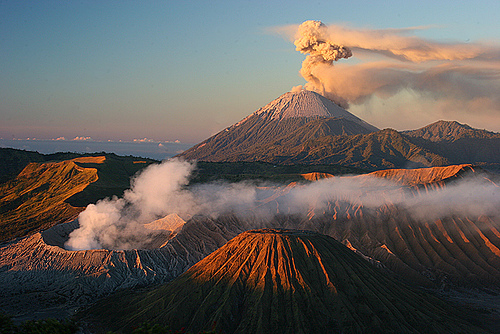 The photo of Mount Bromo puts it on the the list or natural world wonders. Love it. Glad to see Angkor Wat there – we’re off to see it in less than a month! Wow, This is blog is really interesting. So hard to choose for the 8th place. Everybody deserve to be at the 8th place. But no matter what their standing, They’re still amazing wonders of the World. I am amazed that Banaue Rice Terraces got a vote here. It is indeed a wonderful place, and one of the popular tourist spot here in Philippines. The true 8th wonder of the word is the KKH (Karakorum Highway) which passes trhugh the most difficult and highest mountains of the world.